My dad was not always a godly man. It wasn’t until his early 30’s that he started going to church. My mom was the ‘religious’ one. Even when we switched churches when I was 14, his religion was more of a Sunday thing. Our Christmases were as secular as the next door heathen families. When I was planning for college, Dad seemed to change. He wasn’t religious anymore. God wasn’t a Sunday thing anymore. All of a sudden, it was Jesus Christ. All of a sudden everything he did was all about Jesus. Jesus owned everything he had. Christmas was about Jesus Christ. I liked it, because Jesus had become real to me as well. I was going off to Bible College. It was as I was getting ready to leave that he came to me and with tears in his eyes (my Dad never cried) he said that God was giving him a second chance. In fact that became one of my Dad’s favorite sayings, that God is the God of second chances. Anyway, he asked me to forgive him for not being a good father to me. Just 3 ½ years after that, I fould myself with a one month old baby boy, back at home celebrating Christmas with my family and my 18 year old wife, Lydia. 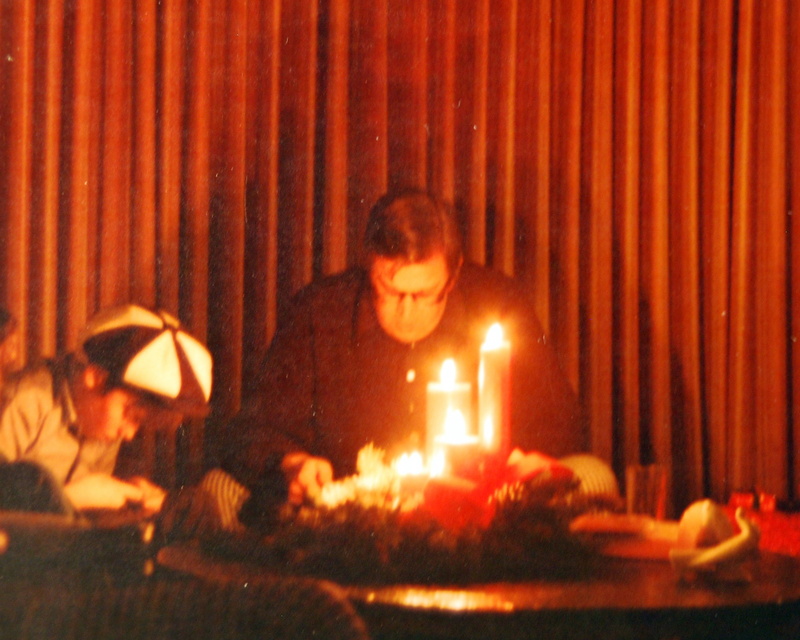 That Christmas morning was overwhelming, as my Dad read the Christmas story by candlelight. 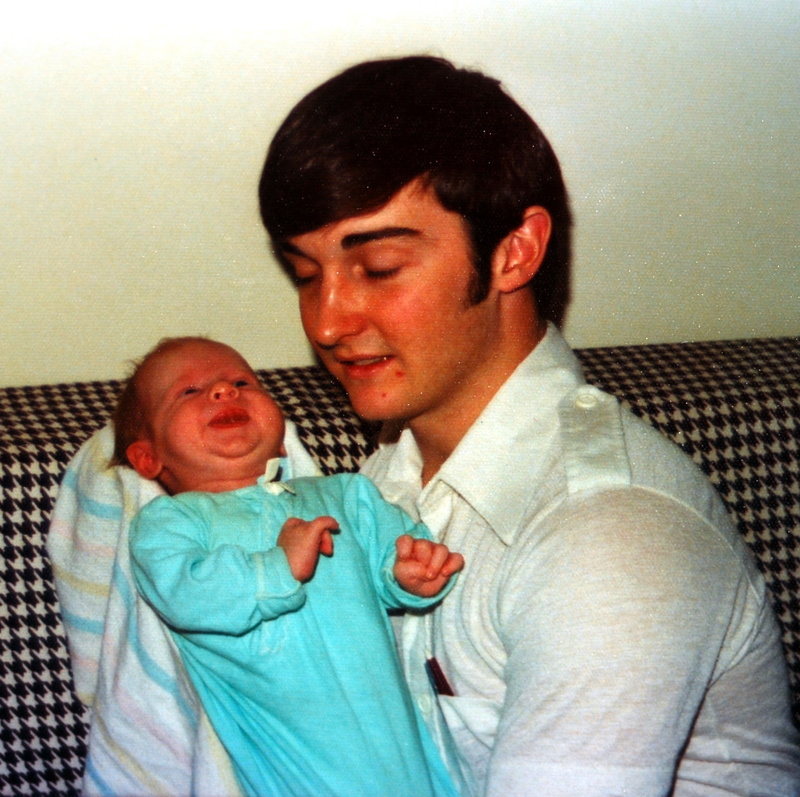 Here I was, a new daddy, holding my baby boy as my Dad read the story of Mary and Joseph becoming new parents. So let’s join my Dad as he and Mom listen in as I now read the Christmas story with you. Luke 2:1-38 In those days a decree went out from Caesar Augustus that all the world should be registered. This was the first registration when Quirinius was governor of Syria. And all went to be registered, each to his own town. And Joseph also went up from Galilee, from the town of Nazareth, to Judea, to the city of David, which is called Bethlehem, because he was of the house and lineage of David, to be registered with Mary, his betrothed, who was with child. And while they were there, the time came for her to give birth. And she gave birth to her firstborn son and wrapped him in swaddling cloths and laid him in a manger, because there was no place for them in the inn. And in the same region there were shepherds out in the field, keeping watch over their flock by night. And an angel of the Lord appeared to them, and the glory of the Lord shone around them, and they were filled with fear. And the angel said to them, “Fear not, for behold, I bring you good news of great joy that will be for all the people. For unto you is born this day in the city of David a Savior, who is Christ the Lord. And this will be a sign for you: you will find a baby wrapped in swaddling cloths and lying in a manger.” And suddenly there was with the angel a multitude of the heavenly host praising God and saying, “Glory to God in the highest, and on earth peace among those with whom he is pleased!” When the angels went away from them into heaven, the shepherds said to one another, “Let us go over to Bethlehem and see this thing that has happened, which the Lord has made known to us.” And they went with haste and found Mary and Joseph, and the baby lying in a manger. And when they saw it, they made known the saying that had been told them concerning this child. And all who heard it wondered at what the shepherds told them. But Mary treasured up all these things, pondering them in her heart. And the shepherds returned, glorifying and praising God for all they had heard and seen, as it had been told them. And at the end of eight days, when he was circumcised, he was called Jesus, the name given by the angel before he was conceived in the womb. As Dad read the part of Simeon holding the baby Jesus and proclaiming Jesus is the light of revelation to the Gentiles, I understand that Jesus had revealed that light to my Dad, and now my Dad wanted me to see that light, so that I could be a good father to my son, Benjamin. The greatest gift I ever received from my Dad is the light of the reality of Jesus Christ. That light burns in my heart and life today 37 years later, and it burns in the heart and life of the son I held in my arms that morning. Did I make mistakes? Too many to count! Has the light always burnt brightly in my life? No! But the Light was always there drawing me into His presence. Is my family perfect? No, but the Light of Christ is at work in my family, and I pray He is at work in yours. I only remember a few of the gifts my parents gave me. But I will always remember the gift my Dad gave me that Christmas, the Light of Christ from his life to mine, to guide me as I fathered my children. He had passed that light to me, and now I am passing it on to my children and grandchildren. 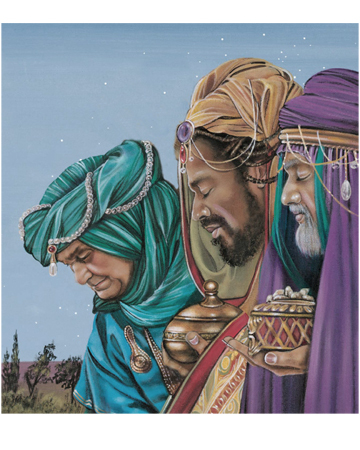 When the magi visited the infant Jesus, they presented gifts to Him, treasures of gold, frankincense and myrrh. The amazing thing about those gifts, is that this morning, Jesus is re-giving them to you and me. That’s right, the greatest gifts you will ever receive at Christmas, are not sitting under a tree, but they are here, in this Bible and they come from Jesus Christ. 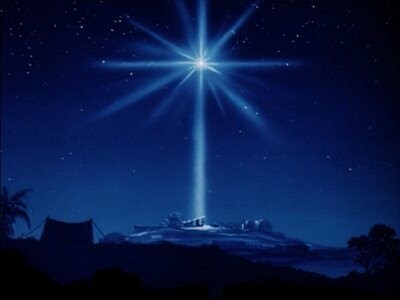 Matthew 2:10-12 When they saw the star, they rejoiced exceedingly with great joy. And going into the house they saw the child with Mary his mother, and they fell down and worshiped him. Then, opening their treasures, they offered him gifts, gold and frankincense and myrrh. And being warned in a dream not to return to Herod, they departed to their own country by another way. I know in American culture it is customary for us to give gifts to the one whose birthday we are celebrating. 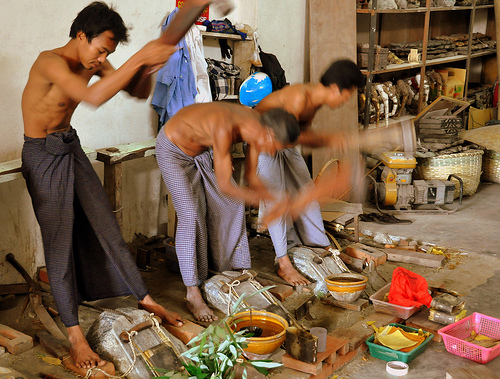 But in may cultures (Asian, Burmese), if it is your birthday, it is a day for you to serve or buy a meal or give gifts. The more you serve and give the better your next year will be. Jesus is going to have a great year next year, because He is giving us some amazing gifts. Let’s open OUR presents from Jesus this morning. The first gift that Jesus gives us is gold, pure gold. Pure Gold represents the pure unfailing Love that Jesus loves us with. Gold is a good representative if Christ’s Love, because Gold is almost impossible to destroy. It is impervious to most acids. 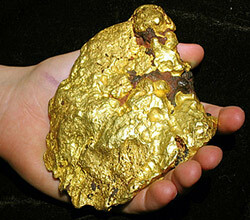 Gold is very dense and heavy, a massively solid material. Just a 3 x 3 cube would weigh over 36000 pounds. Yet as solid and dense as Gold is, it can be stretched and used to cover anything. It can be beat on thousands of times until it is microscopicly thin, yet it is still Gold. Paul prayed that we would know the height and depth and length and breadth of the Love of Christ. His love is so solid that it can dash any problem, so yielding that it can take any thing we can throw at it, so flexible that it can cover any sin we could ever commit. His love is never failing. This Gold was in the Garden of Eden, in the land of Havilah, and the river Pishon flowed around it. Pishon means spreading, and is a picture of the Holy Spirit taking the Love of God and spreading it throughout the world. Havila means stretch of sand. Abram in Genesis 13:2 was described as being rich in gold. God promised him a house with descendants as numerous as the grains of sand. Certainly the unfailing love of God extended to every descendant of Abraham. The Love of Christ knows no limits. It knows no boundaries. The love of Christ seeks every sinner, no matter how great their sins. The love of Christ, symbolized by the gold, comes from the ‘hesed’ of God, the mercy of God. When God instructed Moses in how to build the Tabernacle, as God’s House on the earth, he told him to construct the innermost room covered in Gold. This room, the Holy of Holies, is where the High Priest would offer the sacrifice as atonement for the sins of all of the Jews. The ark was covered in gold, which formed the “mercy Seat” Here the offering would be presented before Holy God in utter darkness. Everything in the room was covered in gold, picturing the mercy and love of God. God would see the sacrifice, and His love and mercy would flow upon the Jewish people. The reason His love and merices could flow is because God knew one day, His only begotten Son would hang upon the cursed cross on Mt Golgotha, and there, Jesus would demonstrate His unfailing love for all the sinners of the race of Adam, as He would become their sacrifice, and take upon Himself all their ghastly and dastardly sins. There on Mt Golgotha, the golden love of God was poured out upon the sands of mankind, as His Son satisfied the Holy demands of God’s Eternal Law! The veil before the Holy of Holies was forever rent in to, from top to bottom, showing the world that God’s unfailing love was now upon the world, because of the forever sacrifice of His Son. God’s Holy Spirit calls whosoever will to come to the Cross of Salvation, and humble yourself before this unfailing Love, pictured by the purest of Gold! Only at the cross can you receive this gift of forgiveness, right standing and Hope of eternal Life in Jesus Christ. This Golden Gift of Christ is Salvation, the New Birth, the True Wealth that only God gives to those who have Faith to Trust Him! Glory to God in the Highest! God’s Hesed is everlasting! The next gift that Jesus gives us is Frankincense. Frankincense is tapped from the scraggy Boswellia tree by slashing the bark, which is called striping, and allowing the exuded resins to bleed out and harden. These hardened resins are called tears. 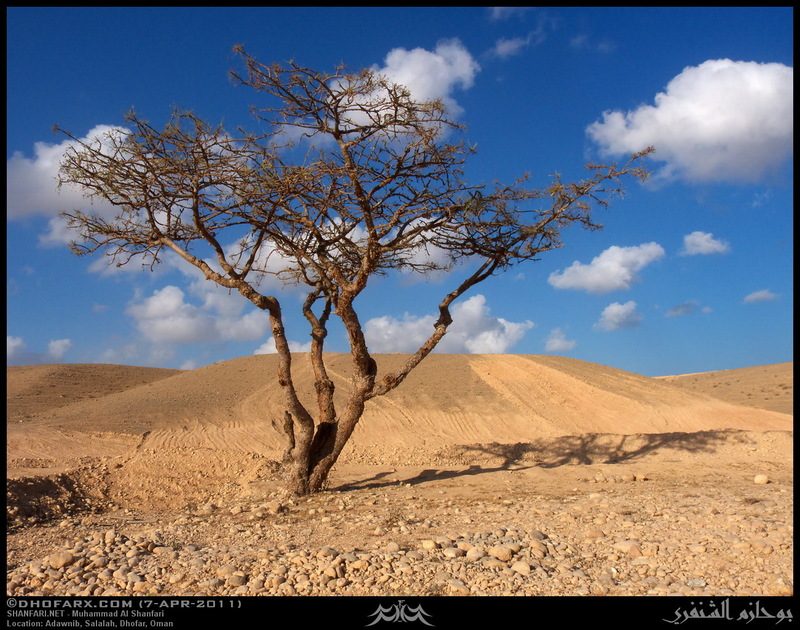 Frankincense trees have the ability to grow in extremely harsh environments. They can even grow directly out of solid rock. How they can do this is still unknown, but the Boswellia trees that grow on rock develop a swollen disk like trunk which prevents it from being torn away from the rock during violent storms. The tears from the trees which grow on solid rock are considered superior for their more fragrant aroma..
Frankincense comes from the Hebrew levonah, meaning “white”. 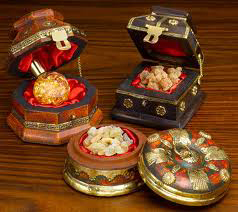 Frankincense was the main ingredient in the holy incense used in the Tabernacle and Temple Worship of Jehovah. The altar of incense was made of acacia wood and overlaid with pure gold. It was situated in the Holy Place near the curtain before the Most Holy Place. The high priest burned incense when he tended the lamps (Exodus 30:1-9). Once per year, on The Day Of Atonement, the High Priest would enter the Holy of Holies and burn incense there before The Ark Of The Covenant. Incense was used to symbolize or accompany prayer (Psalm 141:2, Luke 1:10, Revelation 5:8, 8:3). Jesus is our High Priest, ever living to offer prayers on our behalf. Through His Intercession, Jesus secured our Justification! Jesus gives us the gift of His Justice, secured by His stripes, His blood, and His tears. 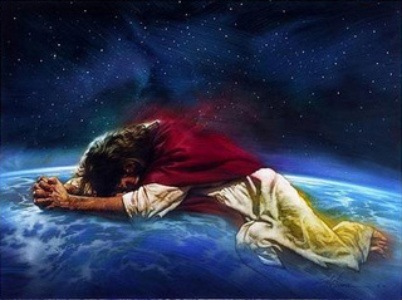 He is interceding daily for us before His Father. His prayers are being offered even now for us, that we would honor God’s House, that we would continue His work and build a House that honors God! Through the Frankincense of Christ, our sins, though they be a scarlet, are “white” as snow. “‘Come now, and let us reason together,’ says the LORD, ‘Though your sins are as scarlet, they will be as white as snow; though they are red like crimson, they will be like wool’” (Isaiah 1:18). and being made white as snow, we are brought into God’s House of Justice. Frankincense is never used in the sin offering, for Frankincense is the Holiness of God’s Justice, secured by the blood of Jesus Christ. For by His stripes we are healed. This incense was placed upon the golden Altar of Incense by the High Priest to be burned before the Lord. It was to be a sweet odor unto the Lord. Through Jesus the stench of our sinful life is converted into a beautiful fragrance before God. 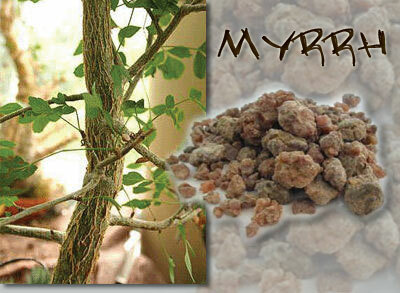 Myrrh is harvested from the Commiphora myrrha tree in a process similar to frankincense. The myrrh is the hardened resin produced from the taps of the bark. Myrrh means “bitterness”. It was used in perfumes, but most of all it was used to embalm the dead. It also had a numbing effect so was used as an antiseptic and pain killer. A cousin tree produced the famous “Balm of Gilead”. Myrrh gum is commonly harvested from the species Commiphora myrrha, which is native to Yemen, Somalia, and eastern Ethiopia. The related Commiphora gileadensis, native to Eastern Mediterranean and particularly the Arabian Peninsula,is the biblically referenced Balm of Gilead. Myrrh is much different from the valuable gold and frankincense gifts. Myrrh symbolizes suffering, trials, tribulations, and afflictions. The church of Smyrna is known as the “Suffering Church”. The name “Smyrna” comes from myrrh. Suffering and persecution is something that Jesus experienced from the beginning of His life, from the flight into Egypt to avoid the wrath of King Herod, to the end of His life, to His wrongful crucifixion. In fact we are told that suffering was such an integral of Jesus’ life that, “Although He was a Son, He learned obedience from the things which He suffered” (Hebrews 5:8). The sufferings of Jesus produced Righteousness for all who come to Him. Indeed, we cease from sin as we suffer with Him. Of these three gifts, only myrrh is mentioned at the beginning and end of Jesus’ life. “Nicodemus, who had first come to Him by night, also came, bringing a mixture of myrrh and aloes, about a hundred pounds weight. So they took the body of Jesus and bound it in linen wrappings with the spices, as is the burial custom of the Jews” (John 19:39-40). Gold – symbolizing the (hesed) unfailing love of God which leads to our being born again, is a one time gift. Frankincense – symbolizing the (mishpat) justice of God applied to our life-our justification-is given to us all at once when we are born again. But myrrh – symbolizing (tsedeqah) righteousness, must be experienced all our life. Our righteousness is in Christ, but only as we learn to die to sin and to Satan and to the flesh, and that will be a life-long journey. As we experience the myrrh of life, we will have the gold of His unfailing love sustaining us, and the frankincense of His intercessory prayers encouraging us. The end result is that we step forth clothed in the righteousness of Jesus Christ for all eternity! We walk forever on streets of the Golden Love of God, forever in His House, living and developing as His children! These three gifts that we have unwrapped this morning are Christ’s forever gifts! But just as He has re-gifted them to us, so we should re-gift them to others! Are you Feeling Hopeless this Christmas?